Ever since the invention of automobiles, the infrastructure of cities has changed accordingly to accommodate the various differences in our everyday routines. 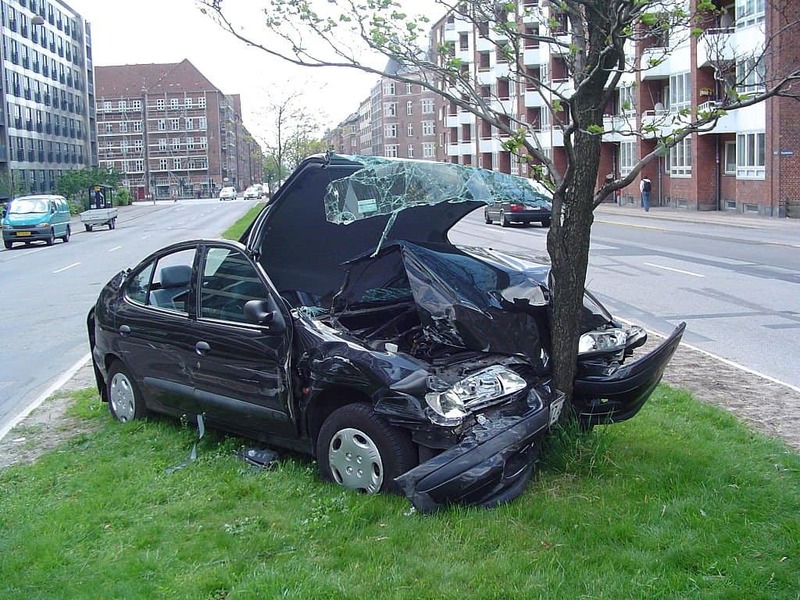 However, due to a number of reasons, including alcohol, drugs or simply lack of attention, people have managed to put a bad name on the driving experience via car crashes. While in most cases such accidents are vicious and deadly, other times they are quite weird and ridiculous to a point of being completely hilarious. The following 10 accidents are to serve as a reminder that sometimes stupidity that comes in the form of car crashes is quite funny. Back in 2010, a man was going to the licensing office to get his driving license renewed, but due to his inability to drive well, he crashed into the office. He did so as his foot slipped onto the gas pedal when he was pulling into a parking spot. 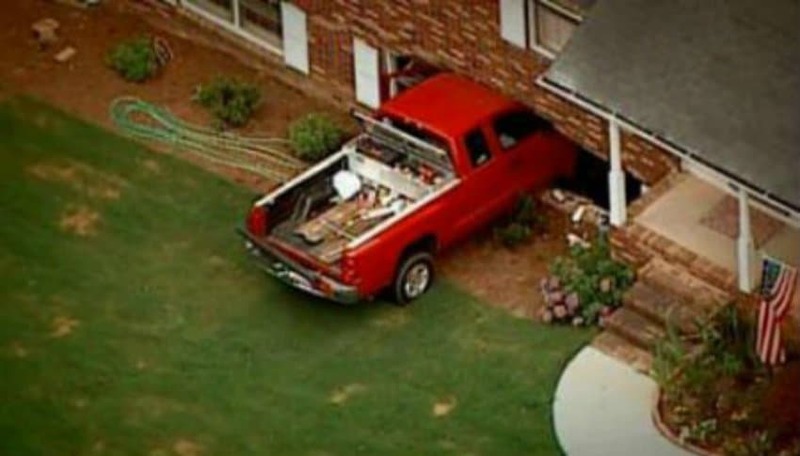 A 2 year-old child decided to have some fun in June 2013 in Grayson, GA, by driving his father’s truck. As expected, this resulted in a car crash with the truck going right into the house, and thankfully he wasn’t hurt. 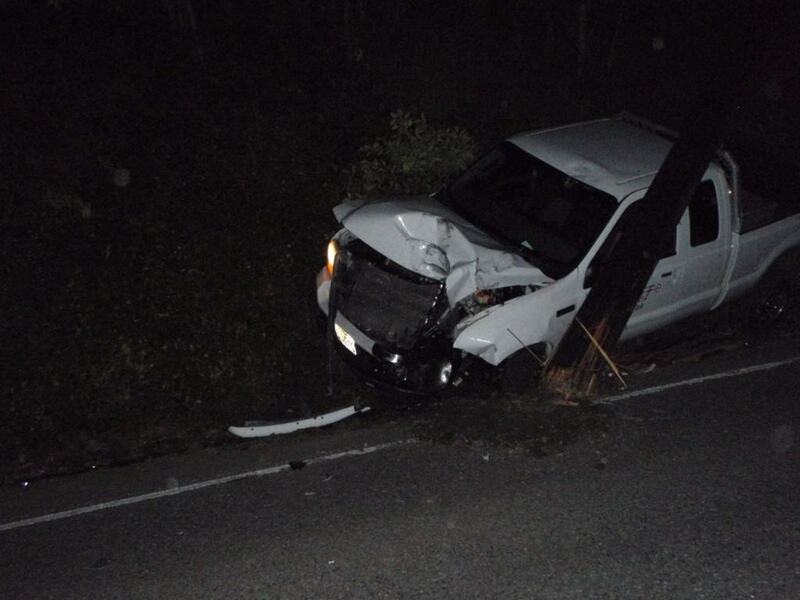 A 13-year-old boy from New Jersey stole a car in 2012 to impress his friends, but unfortunately he saw his mom, which distracted him and he crashed the car into a nearby tree. 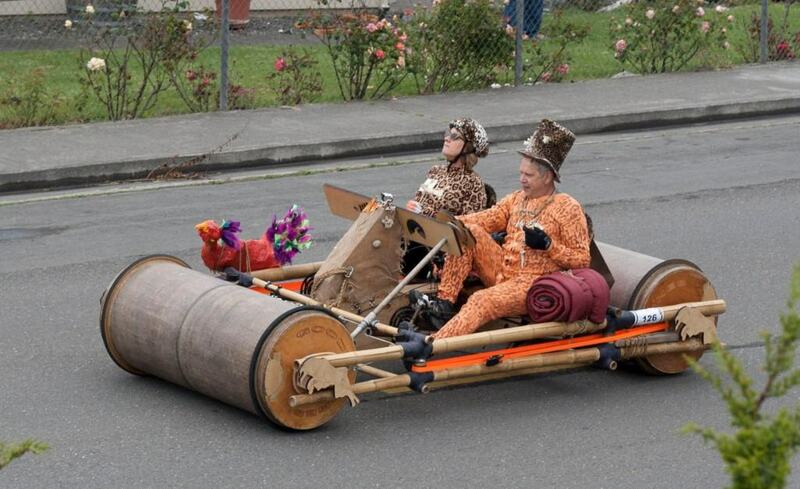 In 2011, a 24-year old man decided to use an age-old cartoon tactic for stopping his car – just like the Flintstones did. 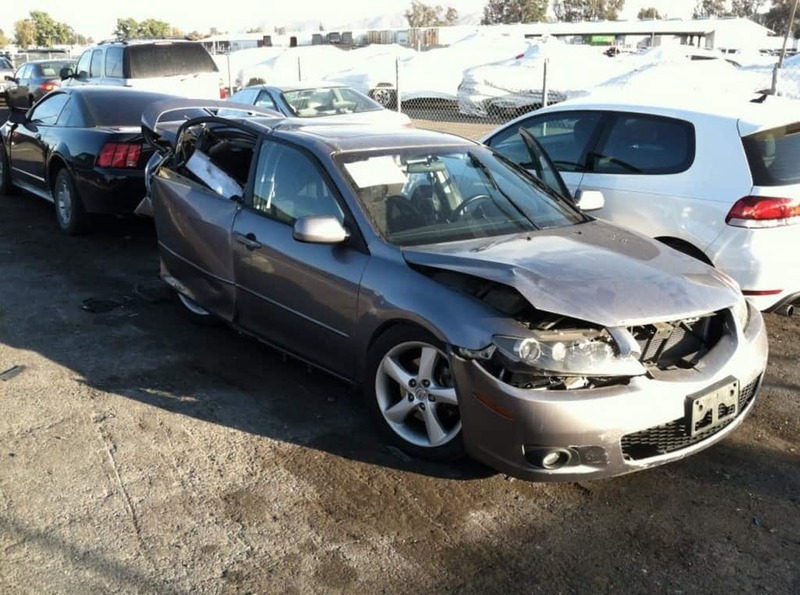 He tried to use his feet to brake his moving car, which resulted in a four-car car crash. The most ridiculous part – the man was completely sober. In 2012, a 66-year-old Grandma showed off her driving skills by managing to crash two times in two different days into two different businesses with two different cars. 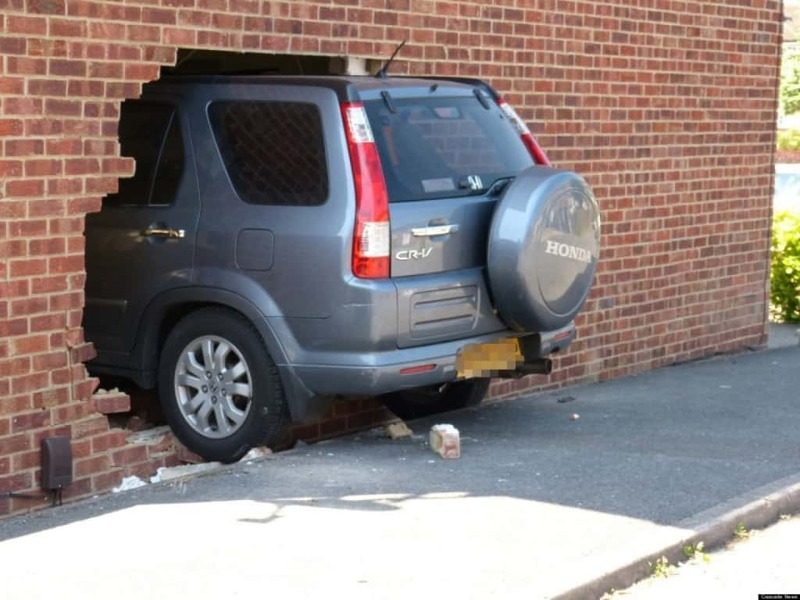 The first accident occurred as the lady crashed into the fence of Dunkin’ Donuts, while the second she crashed through the wall of an Eye Care Center; which seems rather ironic. 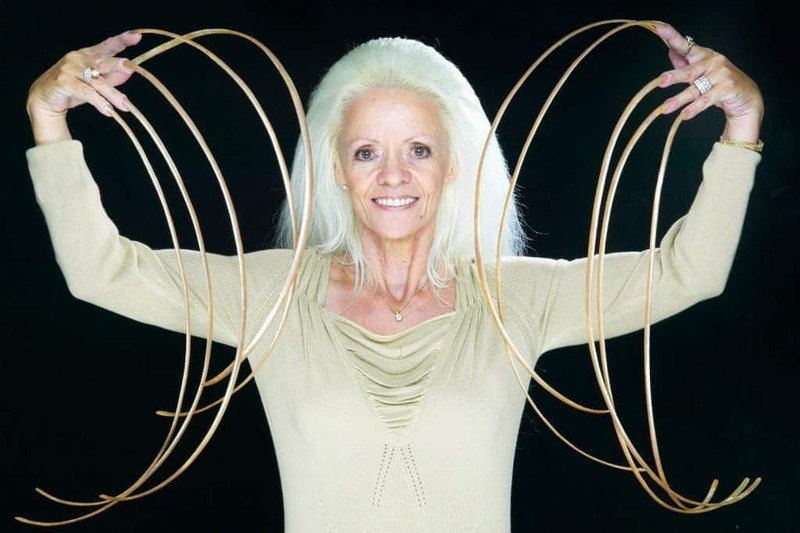 Everyone is probably familiar with weird old gal Lee Redmond, who currently holds the World record for having the longest fingernails in the world. She lost her nails when she crashed into a four car pile up and was ejected from the seat of an SUV where she was a passenger. Everyone knows what a hoarder is and sometimes we all feel a bit messy. 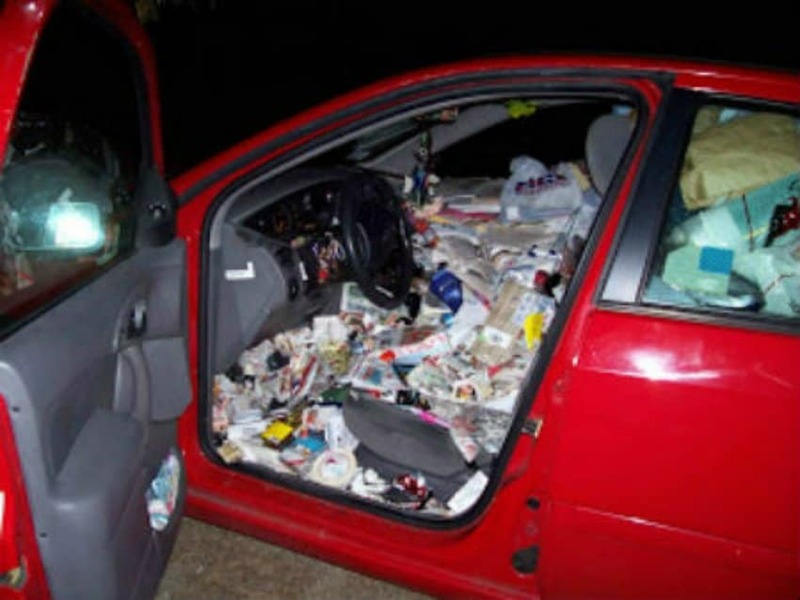 However, in 2007, a car crashed in West Yarmouth, Massachusetts, because a lady was so messy that her car was filled to the brim with trash and rubbish. Maybe she was lucky enough for some of the trash to absorb some of the energy from the impact. In 2012, the daring 27-year-old Amanda Jeffries crashed into a police station, while being pursued by the police for stealing a white pickup truck. 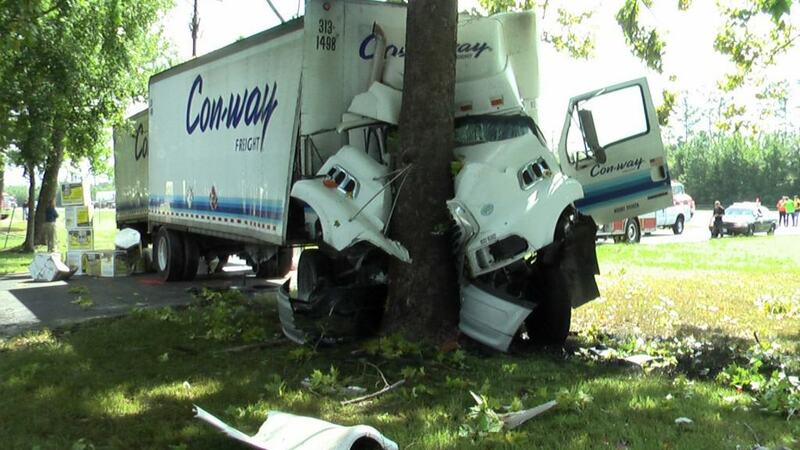 Usually when you hear about a truck crash, you think of plenty of carnage. However, such a crash actually saved the life of Richard M. Paylor, who started to choke on a piece of apple as the crash occurred and managed to spit it out only when his truck crashed. 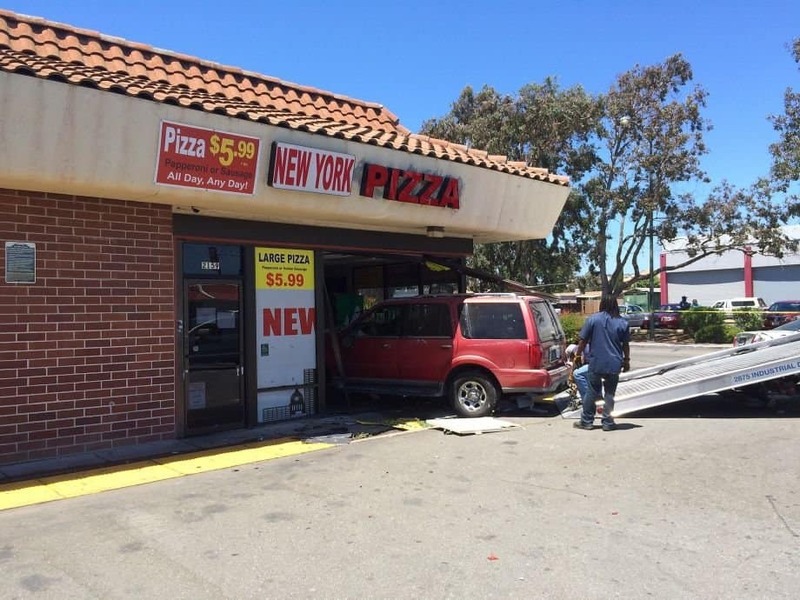 Back in January 2013, an elderly man got his foot stuck on the gas pedal and crashed into a pizza restaurant. While waiting for the police to arrive, rather than being worried the man calmly ordered a pizza! What a grandpa!